We proudly serve the Elkridge Community the second and fourth Friday of each month from 4:00pm to 8:00pm. The Elkridge Food Pantry provides free food to people in need. We use the client choice model, so each client can choose what food they need as limited by availability. 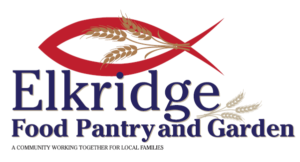 Who can use the Elkridge Food Pantry? Any resident of Elkridge, for as long as they want, as often as they want. Keep in mind we are only open on the second and fourth Fridays of each month. What do you need to use the Food Pantry? Some proof that you are an Elkridge resident, including a utility bill, driver’s license, or some other kind of photo ID that shows you live in Elkridge. We have all kinds of non-perishable foods: rice, potatoes, vegetables, pasta, canned fruit, cereal, and others. For other questions and inquiries, contact us.